This elegant money box gives gardeners somewhere to save for those little gardening indulgences. 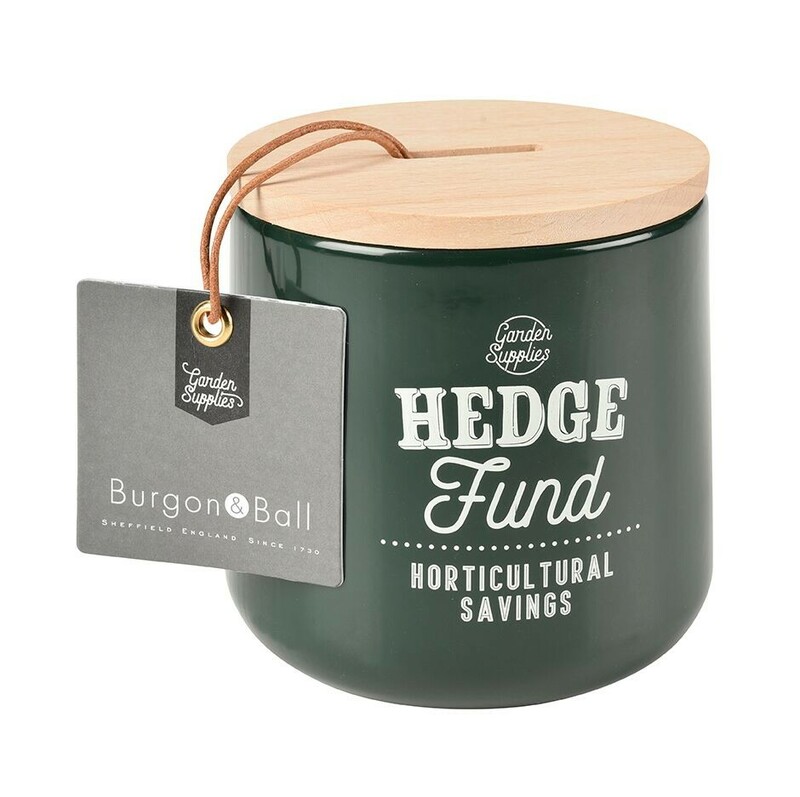 It is a perfect gift for a gardening loved one, or of course it makes a very stylish way to kickstart your gardening savings fund. This gorgeously tactile container is all about the curves. It is created in beautifully moulded steel for a flawless, seam-free finish, with a tough powder coating to keep the gorgeous colour looking good. The smooth FSC beech wooden lid adds a lovely natural touch.